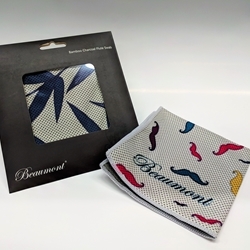 The Beaumont bamboo flute swabs are as colorful and stylish as they are absorbent. Keeping your flute free from moisture and dirt is vital to keep your pads from sticking and your flute performing. Our lint free bamboo cloths make sure the inside of your flute stays dry and clean, increasing the life of the pads without leaving any unwanted bits of fluff behind in the process. Bamboo is not just more absorbent than cotton it also a far more environmentally friendly product. Stylish and machine washable these swabs are perfect for keeping your flute in top condition.